The carpet industry is changing. As research continues to mount about the dangers of volatile organic compounds, or VOCs, everyone from the architects who specify the building materials to the actual carpet layers who complete the installation is searching for alternatives to the chemical-based glue that’s traditionally been used to install carpet. Our customers are always asking us about greener, safer alternatives. Here’s an overview of what we tell them. Let’s begin with the basics. What are VOCs? VOCs are gases that emit from a wide variety of materials that can cause short- or long-term health effects. 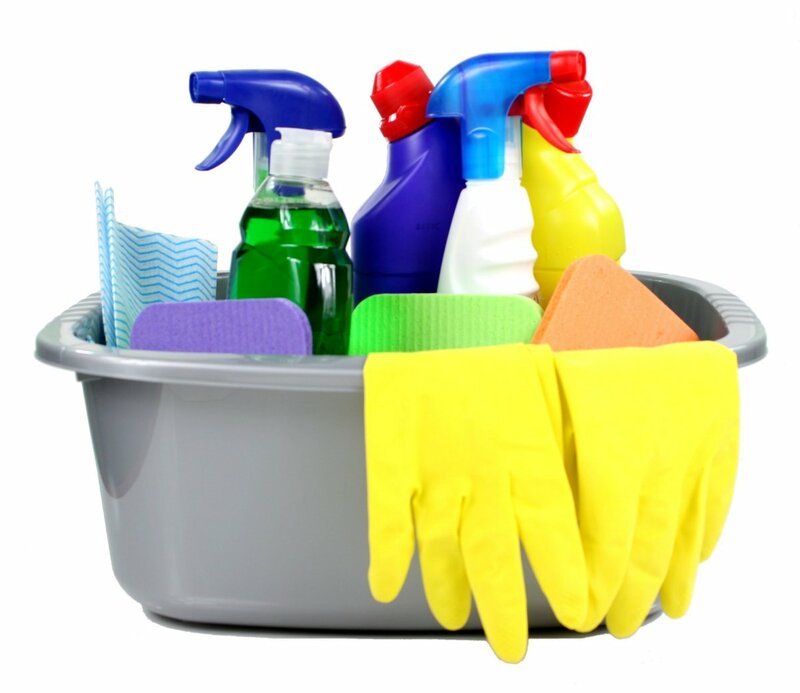 They are found in many household products, including paints, glues, cleaning products, and cosmetics, as well as other materials including building materials, adhesives, and more. Gases are emitted both when the products are in use and, to a lesser extent, during storage. The wet, chemical-based adhesives that have traditionally been used to install carpets often contain high levels of VOCs. As with any pollutant, the symptoms and effects vary by person, the length of subjection, and the level of exposure. 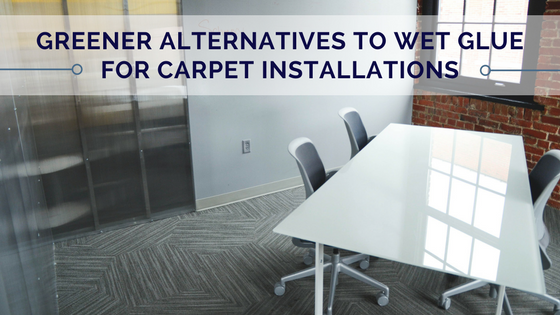 The wet glues and chemical-based adhesives traditionally used for carpet installations are very effective, but they’re not earth-friendly because of the harmful VOCs they emit. Luckily, there are healthier, greener options that work just as well. Two low VOC alternatives to chemical-based wet glues are pressure-sensitive dry adhesives and tile connectors. Lok-LiftⓇ is a pressure-sensitive dry adhesive that can be used to install carpet over any clean, dry, secure flooring surface, like concrete, wood, carpet, and more. Lok-Lift is always a green choice, but an especially good option for carpet installations in buildings with heavy traffic and sensitive populations, like hospitals, schools, and homes for the elderly. Aside from their eco-friendliness, pressure-sensitive dry adhesives also help save time during construction because they don’t require the curing times or off-gassing periods (time required to allow the dangerous VOCs to vent, typically 72 hours) required with wet glues. In fact, the pressure from immediate foot traffic actually strengthens the bond. Further, carpet installed with Lok-LiftⓇ is easily removed because the adhesive is releasable. So, when the time comes for a renovation or redesign, the original carpet can be easily removed and recycled, leaving minimal residue behind. Tile connectors are another green carpet installation method, and a good option when you’ve chosen to install carpet tiles. With almost zero VOCs and a very small environmental footprint, tile connectors are a far more earth-friendly choice than wet glue. 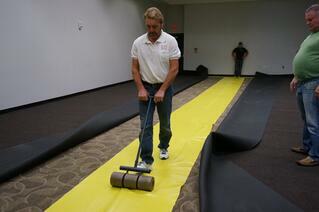 The Carpet and Rug Institute (CRI) is a good starting point when determining which adhesive to use. The CRI developed the Green Label Plus program to help architects specify carpets, cushions, and adhesives with very low VOC emissions. If you choose to specify a dry adhesive or tile connector that has the CRI Green Label Plus designation (like Mohawk’s FlexLok® or Masland’s TAB LOCK), you know you’re making a green choice. Or, search for one that’s passed the even more stringent CA 01350 testing for emissions (like Lok-LiftⓇ) to ensure you’re selecting an eco-friendly adhesive. As Americans spend more and more time indoors, it’s essential we use low-emitting adhesives to protect our air quality and health, and a low-VOC adhesive is a great way to start to move toward greener building.